Partington Theatre presents ‘Murder on Air’ by Andrew Hull, the latest in our popular Murder Mystery series. 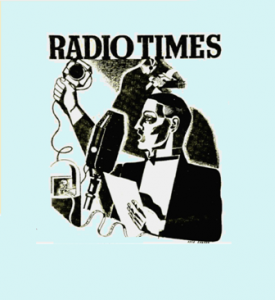 The year is 1957 and you are invited to the recording of the final episode of the long running BBC radio show ‘Major Siddlington Rides Out‘. However, tensions are running high and the cast and crew prove to be not quite the happy family that the public have been led to believe. The evening ends in tragedy! Come along and see if you can unravel the clues and solve the mystery. Don’t worry if you can’t, just sit back and enjoy the show and the sumptuous buffet that is included in the ticket price. These events have proved to be very popular, so be sure to reserve your tickets as they will not be available on the door. Tickets cost £8 (no concessions) and must be purchased in advance from Harry Lee 07956 560 597 or from the theatre bar.